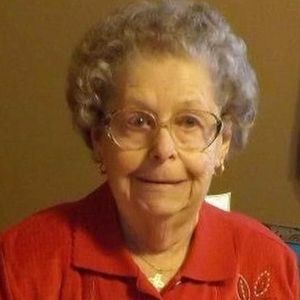 Marjorie Nell Welsh, 87, of Owensboro passed away at her home on February 1, 2019. Marjorie was born on August 6, 1931 to the late Willy and Ruby Horn of Greenville, KY. In addition to her parents, she was preceded in death by her loving husband, William Patrick Welsh; her son, Arthur Ray Welsh; a grandson, Aaron Matthew Welsh and her brother and sisters; Lois Horn, Mary Buckham, John Horn, Bob Horn, Tom Horn, Charles Horn and Doris Thompson. She is survived by four sons, James (Marlene) Welsh, Poquoson, VA, William (Vickie) Welsh, Hudson, KY, Robert (Karen) Welsh and Joseph (Rubene) Welsh both of Owensboro; 12 grandchildren; 15 great grandchildren; a brother, Billy (Jan) Horn, Enfield, IL; and four sisters, Ann Rynearson, Lebanon, IL, Susie (Ed) Gill, Orangevale, CA, Betty Maham, Lafayette, IN, and Laura (Don) Cox, Lafayette, IN and daughter-in law Keisha Welsh. Special thanks to Hospice and all her caregivers. Marjorie was blessed with a wonderful life and enjoyed it to the fullest. Expressions of sympathy may take the form of donations to Hospice of Western Kentucky. The funeral service for Mrs. Welsh will be 10 am Tuesday, February 5, 2019 at Glenn Funeral Home and Crematory. Her grandson, Joe Welsh, will officiate. Visitation will be Monday from 2 until 8 pm and Tuesday after 9 am at the funeral home, Burial will follow at Rosehill cemetery.